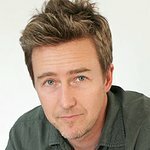 Acclaimed actor and conservation activist Edward Norton took on his latest role last week, as Secretary-General Ban Ki-moon designated him United Nations Goodwill Ambassador for Biodiversity. With the issues of community development and conservation close to his heart, Norton voiced hope that he can channel the attention he receives for his work in Hollywood towards raising awareness of the UN’s ideals and activities. “I think that [Goodwill] Ambassadors in many ways can play a role in highlighting the models of success that the UN is promoting around the world,” he told the UN News Centre. Norton’s family has long been involved in sustainable development issues, with his father being a conservation advocate and his maternal grandparents having founded an organization to help provide affordable housing in the United States. For his part, the new Goodwill Ambassador is very active in garnering support for conservation efforts, serving as a board member of the Maasai Wilderness Conservation Trust and taking part in launching an innovative social networking platform called Crowdrise to boost participation in charitable work. Last year, he ran in the New York City Marathon, helping to raise more than $1 million for local communities in Kenya. In his new role, Mr. Norton said he will work with the UN Convention on Biological Diversity to spotlight the “crisis of biodiversity” and ensure world leaders take appropriate measures to protect the environment. One of his top priorities as Goodwill Ambassador will be to increase “people’s focus on the fact that human well-being is intertwined fundamentally with biodiversity,” the actor, twice nominated for an Academy Award, said. At his designation ceremony, Mr. Norton told the Secretary-General that biodiversity is an issue that “transcends national boundaries,” with people “having lost sight” of the need for environmental protection. He added that “when people look back on this era that we’re living in… they will not assess many of the things that we consider political hot buttons of the day. They will assess this era based on how we responded to this particular crisis,” referring to biodiversity loss. The official said that the Secretary-General could not have chosen “a better advocate, a better ambassador than someone who is [taking action], not only through statements and speeches, but doing it in reality” than Mr Norton. Last week’s appointment comes as the UN marks 2010 as the International Year of Biodiversity, with heads of State set to discuss the issue at a high-level meeting at UN Headquarters in New York at the start of the General Assembly’s 65th annual General Debate in September.